Let’s continue the label review. CTA is not the only Japanese label reissuing tango music from SP. Another important label, though less famous outside Japan, is A.M.P. Tango-Coleccion. Produced by Mr. Yoshihiro Oiwa (大岩祥浩), his first attempt was also in LP format. As there’s no catalogue available online (same for CTA), it’s hard to know how many LPs and CDs he has released. However, from the number of AMP discs I found in CD stores like Tower Records, HMV and Yamano Music Store (銀座山野樂器), it seems the AMP collection could be as big as the CTA collection. From what I could see on the market 2 years ago (2007), AMP collection is particularly strong at 1920s to 1930s recordings. The big orchestras in this period like Canaro, Lomuto, Fresedo, Firpo and Donato play an important part in its collection. 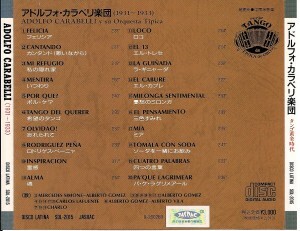 Just Canaro’s music from the 30s has at least 8 albums, while Lomuto has at least 10. I’m not sure how many overlapping songs there are between the CTA and AMP Canaro series, but by luck or by accident, out of my 7 CTA albums and 3 AMP albums, there is not even 1 overlapping track! 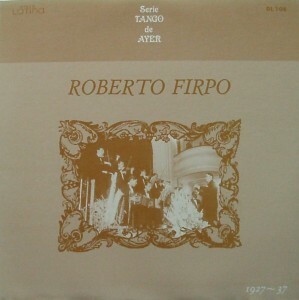 AMP is also one of the best source to obtain some Firpo’s orchestra recording (not his quartet). There are more than 8 CDs of Firpo, unfortunately I only managed to get 2. But from these 2 CDs, there’s only 1 song available on Reliquias’s Firpo CD. 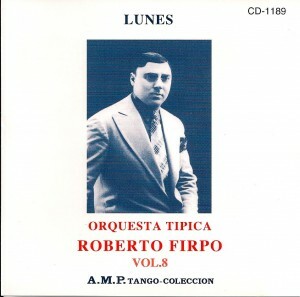 Reliquias has lots of CDs of Firpo’s quartet, but its collection of Firpo’s orchestra recordings is weak. 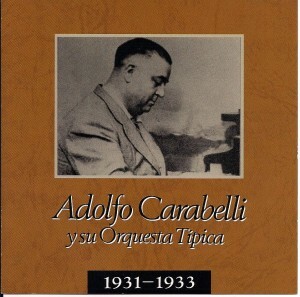 Besides those big names, you can also find CDs of less famous orchestra in the AMP collection like Cuarteto Típica “Los Ases”, Rafael Canaro and Ricardo Luis Brignolo etc. 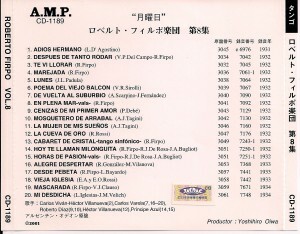 Back sleeve of AMP Firpo CD. 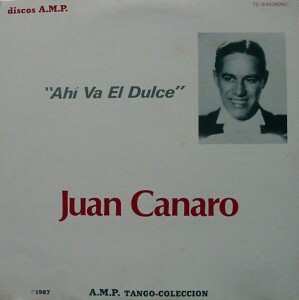 Disco Latina is also one of the early attempts to reissue tango music. Again it started with LP and moved to CD format in the 90s. Michael already wrote a special page to talk about this label. In his page, you can find cover art, listing of songs of the full series. A lot of work and very informative! Unfortunately, this label was deleted long time ago. It’s rare you can find its CD even in the second hand CD stores in Japan. Cover art of Disco Latina. Back sleeve of Disco Latina CD. This entry was posted	on Saturday, October 3rd, 2009 at 2:56 am	and is filed under Music. You can follow any responses to this entry through the RSS 2.0 feed. You can leave a response, or trackback from your own site. 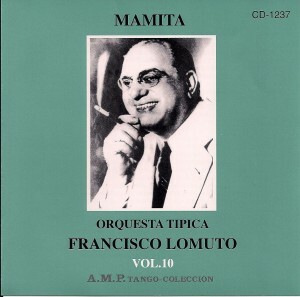 I am a collector of Orquesta Tipica Victor and have a collection of over 400 tunes, many 78rpm records and Cd’s bought in Buenos Aires. I also have the Baba Orquesta Tipica Victor Collection Vol:1 to Vol:16. If anyone has an interest you can ask me about them. Does anyone know about a Vol:17 coming out? According to the CTA website, it seems the latest CD of OTV is Vol. 16. So maybe Vol. 17 is not out yet, and not sure if Mr. Baba has any intention to continue the OTV series. Hello Royce, I understood that Mr. Baba visited Buenos Aires recently and was still in search of O.T.V 78rpm. records and was told that there would be more Cd’s coming out.